Why insuring against disability is as important as insuring against death? Indians today have become more aware about the insurance needs and are taking adequate life as well as health covers to meet their needs. But, in the process, they seldom give any thought to the personal accident cover, which is largely neglected today. Certain incidents point out that life insurance or health claims do not honor claims arising out of an accident, an event, which can adversely impact an individual or his family in absence of a cover. That underpins the need of buying a personal accident (PA) policy, which will cover death, both temporary or permanent partial or total disability and other associated costs such as medical care, hospitalization etc. While planning for insurance it should be kept in mind that while financial assistance is provided to the insured's family on his death, personal accident policy will protect the rights of the insured's family even in case of disability (not covered under life insurance). Moreover, add-on features of PA policy could take care of the medical needs like hospitalization charges and daily or weekly expense limit, which otherwise could put any family in a financial crunch. 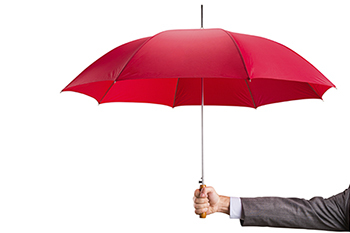 As per normal rule, individuals should buy a PA cover equivalent to life cover, which means that if life cover of Rs. 50 lakh is taken, then the same coverage should be opted for PA cover as well. PA policies take into account the income earning capacity as well as a job condition of an applicant before granting a cover. Applications might get rejected if the applicant works in an excessive hazardous or accident prone job or has physical deformity. Individuals are categorized in between level I to Level III risk profiles; where level I represent the lowest risk and III higher risk. Premiums are high for people falling into a high risk category. PA cover of Rs. 5 lakh for a 25-year old individual is available for as little as Rs. 1,000. However, it should be ensured that PA covers do cover disability apart from death coverage. Nowadays, corporates too provide PA coverage to their employees but such covers are often not adequate for individuals, and therefore, it is better to go for an independent plan.